What are the best natural remedies to stop nail biting? As a nail biter you probably already know about all the different anti-nail biting polish products you can buy. Maybe you are even using one now. But some people prefer more natural remedies, so I have looked into what kind of things from nature and home ingredients we can use to help stop nail biting. Just like with the “bitter taste nail polish”, we need the ingredients to give us that “wake up call” that reminds us of not putting the fingers in the mouth. This means either a bad smell or bad taste. 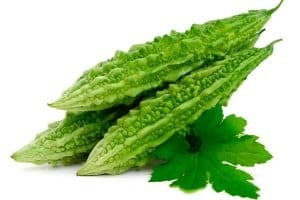 Bitter Gourd, also known as bitter melon or bitter squash, is a natural ingredient that can help you fight nail biting. It is a tropical and sub-tropical vine of the family Cucurbitaceae and is widely grown in Asia, Africa, and the Caribbean. It is also commonly used in Asian cuisine. As the name suggests, it has a bitter taste which immediately reminds you that your fingers should not be in your mouth. Apply the juice on your nails and leave it to dry. If you don´t want to go through the process of making it yourself, you can get Bitter Gourd already prepared, ready to put on your nails. Neem oil is a vegetable oil pressed from the fruits and seeds of the neem. It has a bitter taste that will remind you not to bite your nails. Additionally, neem oil is antiseptic, which will help to keep your nails free from infections. 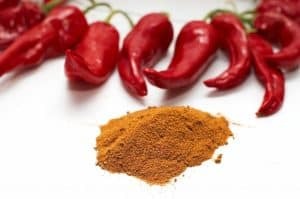 Some people use spices like cayenne pepper and chili pepper. Simply dip your fingers in any of these spices. But use these ones with care. Most nail-biters will have small open lesions and sensitive skin around the nails, which will be irritated by any of these spices. Also – do I need to point out that spices and eyes are not a good combination! Keep your fingers away from your eyes! Garlic is another natural product that might help you stop nail biting. So if you dislike the strong taste and aroma from garlic, this could be your solution. Rub one piece on your nails and leave it for a couple of minutes. The lingering garlic taste will now be on your nails, reminding you to stop every time you put your fingers in your mouth. If this works for you, you might consider garlic oil instead, as it is easier to bring with you. Personally, I don´t like to use garlic. Not because it is not working, but I feel I can smell the garlic all the time – also when I don’t have a finger around my mouth. And when I am around other people, I don’t find that particularly nice. Vinegar is another bitter taste ingredient that many already have at home. Simply apply it to your fingertips and let it dry. As I have said before. There is no single solution that will work for everybody. You have to find out what works for you. My guess is you will probably end up combining different ways to stop your nail biting.